Basically you can not create a jsp using jquery. Because jquery is valid on client side while JSP is valid on Server side. So how to load a JSP through jquery ?? You can make an AJAX call to a server to get the html version (compiled jsp into an html as the response) of the jsp response and you use the response. where assuming you have a div with its id as "resultDiv" where you want to insert the response html contents. And if you are thinking, what if I my request is being handled by a Servlet class on the server end not directly by a JSP! Then you have to do, just do whatever business logic you want to process in the Servlet, then before sending the response you just forward the request to the jsp which will process the request for the presentation/UI layer. Now in your jquery's ajax or load method you will get the html version of the jsp, so load that html response into a div or show in a dialog box or manipulate the content as you wish. I used to get issues while calling Struts2 action using jQuery Ajax and passing JSON to and from Action. Reason: Struts2 uses a lot interceptors in its default stack to pre and post process the request. And in particular JSONInterceptor will try to call all the getter methods available using java Refelection api inside the Action class (which makes it multiple calls) and tries to serialize the objects returned from the getter methods. You need to refactor/rename your getter methods with some other meaningful names like loadXXXXX / showXXXX. The method ..... of type ..... must override a superclass method. 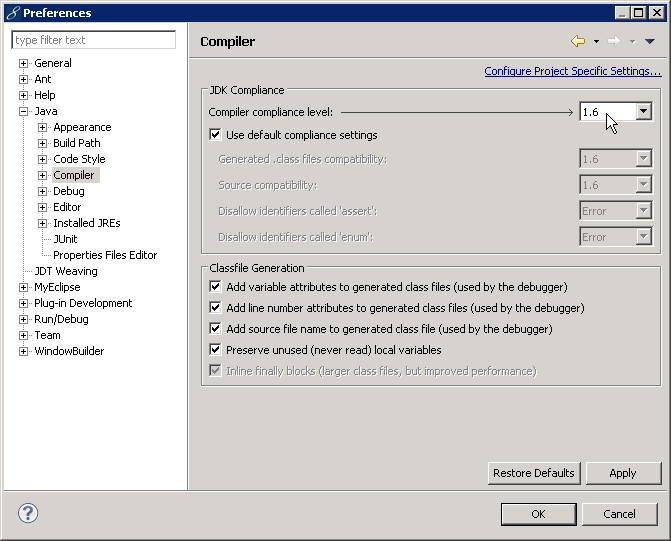 Check if your eclipse/myeclipse is using a compiler version lesser than java 1.6. For an jQuery API we have multiples of options to use from for a method. For example, for the jQuery UI Dialog widget we have a lot of options to choose from like we have maxHeight, minWidth, modal, resizable, draggable to achieve different functionalyties with the widget. So how to use all or some of these options with the dialog method ? We can create a variable containing all the options (name:value) with comma(,) in between multiple values (basically json notation) and then pass the variable to the dialog() method. $ (dollar) sign in Jquery is just a method name or identifier name. To make it simple, jQuery and some other languages (scripting or coding) has choosen this $ to use their api (methods) easily. In jQuery, we can replace the $ sign with the word "jQuery" whenever we encounter $ collision issues with some other coding languages like JSTL (JSP, EL) or prototype etc. and it will do the trick. Infact we can say, $ is a shortcut symbol for the "jQuery" word. What is the dollar Sign ($) means in JQuery ? How to avoid $ collision from jquery with other languages or technologies ? Then the wsdl is SOAP 1.2 version compliant /compatible.